This is perhaps one of the simplest and yet most helpful ministries of all. The cost is moderate but infrequent. Here is how it works. So here is what you do. You save up your dollars when its not raining. Try to put together around $40 – $60 dollars. If it rains for a couple of hours during the day and the sun comes back out don’t worry about that. But when a system sits over your area and it rains for days that is when you would take action. For this ministry to work you would have already found, identified and introduced yourself to some people at a homeless camp that you are comfortable going to. After a day or two of rain, get your umbrella, grab your can of money and drive over to the camp. Go in the early afternoon so that the people you help get the use of the room for the longest period of time possible. Identify ahead of time the motels that are nearby within walking distance. The closer the better. The cheaper the better. Walk up to the camp and announce your presence. They will most likely be zipped up in their tents waiting for some relief. Announce that you were wanting to get a room for them and ask who has an id. That is very important. The room needs to be rented in their name not yours. So whoever meets you at the motel needs a good id. They will already know and understand this. Out of the motels nearby ask which one they prefer. They will automatically choose the one that is the most friendly to them. 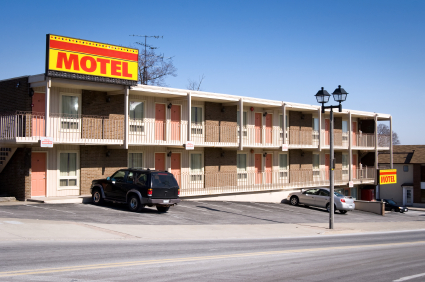 Once you identify the motel tell them you can meet them there in a few minutes. They will walk there most likely in their rain gear and you will drive there. Wait for them to arrive and then go to the front desk with them. Tell the front desk clerk you need a room for the night and negotiate your best price. Your homeless friend will use their id and you will pay with cash. Once the transaction is complete go out side and just talk to them a little bit about whatever you want to talk about. You do not need to present the gospel to them or tell them you are a christian or anything like that at this point. Unless you feel led to. Trust me when I say that if a person comes out in the rain, befriends you, pays for a warm dry room for you and your friends to stay in, you are going to know that they are a christian. Now when you leave here is what is going to happen. The person that rented the room will go back to camp and then one by one the people that they know will be able to go to the room, get dry, get a shower, and get a good nights sleep. They take care of each other. They will know not to overload the room. They will know to be discreet. They will know to keep the noise level down. But most of all, they will know that the God that loves them has sent a kind soul to help them in their time of need. And that is the real reason for what you do. Sharing the gospel with another human being is not a right, it is something you earn through kindness. I want to do a special post and talk about “Takin It To The Streets” which is a ministry of Ensley First Baptist Church. “Takin It To The Streets” is an outreach program sponsored by Ensley First Baptist Church in Pensacola Florida. Jeff Henry is the pastor of Ensley First Baptist as well as a personal friend of mine. When my family began working with the homeless in Pensacola virtually every person that we met would tell us, “You need to meet Pastor Jeff”. I would hear that over an over again. I finally met Jeff while we were doing a service at the Waterfront Mission and we have been friends ever since. Jeff, his family and volunteers from Ensley First Baptist work hard to serve the needs of the less fortunate in Pensacola. “Takin It To The Streets” is a non-profit ministry of Ensley First Baptist that reaches out to the homeless, the very poor and the down and out in our area. They don’t just invite the homeless to come to church, they actually go out and pick them up from all over the city. They provide hair cuts, showers, clothing, a hot meal, tarps, bug spray, a church service and best of all, transportation to and from the location. Ensley First Baptist is raising money to build a shower facility for the homeless. This facility will include separate showers for women and men as well as a washer and dryer for their clothes and a clothing closet. The church will open the showers during the week and also on Sunday afternoon. Church vans are used to transport people who need showers and other services to and from the church facility. They are trying to raise $15,000 to accomplish this goal. You can click below to help. Imagine yourself sitting on the side of the road or in the woods all day with no work, no home and no place to go. Sounds pretty depressing. 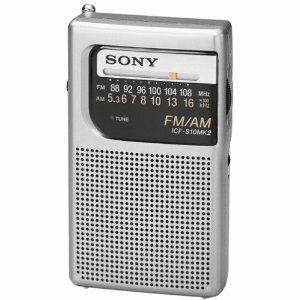 You can buy a small AM/FM radio for about $10 and a set of earbud headphones for a dollar. Give this to a homeless person and you have made a friend forever. Now they have free access to news, weather and entertainment. All for around $11. They can get replacement batteries at the dollar store and as long as they keep their radio dry it will last indefinitely. I get mine off of Amazon. If you purchase several at one time you can get free shipping. I get batteries and ear phones at the dollar store. Batteries can be expensive. It can easily cost $10 to refill a boom box with batteries. If the radio is left on all night then the next day new batteries are needed. Money is better spent on food than batteries. 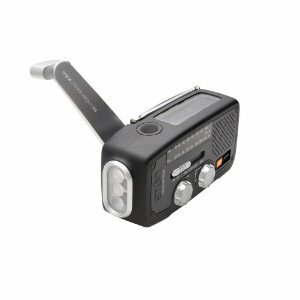 Hand crank radios can be purchased for as little as $15 each. They are small but effective and never need batteries. I am trying this idea out and hope it will be a good solution to the expense of always buying batteries. This is a very simple yet very effective little ministry that you can provide to a small group of homeless people or to an entire camp. The vast majority of homeless are familiar with church and many are Christians. Because of this they are very familiar with the observance of the Lords Supper. 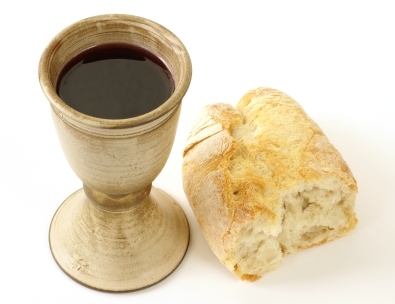 If they have a Catholic background then they would know it as communion. Having the Lords supper or Communion for a group of homeless individuals is a great way to present the gospel through sight, touch and taste. You can do this weekly, bi weekly or monthly. Here is all you have to do. Purchase some unleavened bread from the ethnic section of your grocery store. Purchase some grape juice or wine. (we use grape juice) You will also need some small plastic cups. You can read the Biblical account of the Lords Supper first and then go to 1 Corinthians 11:23-26 and read that text as you partake of the elements. Start with the bread. It is best if it is unleavened. Give each person a large enough piece of bread so that they can actually break it before they partake of it. Before you read the scripture in Corinthians explain how the bread represents the body of Christ and how he was broken for our sins. Explain how he took our place and explain how breaking the bread and partaking of it shows our remembrance of what he did and our faith in what he did for us. Next pour the Grape Juice or Wine. Use clear plastic cups so that people can see the color. The majority of homeless people in Pensacola live in what are called “homeless camps”. 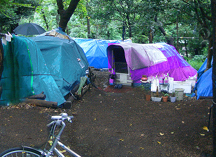 These camps are generally hidden in the woods and are often close to commercial areas where the homeless can purchase supplies and get some support from individuals who wish to help them. Most of the camps that I have seen house around a dozen people. The camp consists of tents and tarps and an area where they sit on buckets or milk crates. Many of the people that live there have jobs. One thing that I have noticed is common to all camps is that they help each other. They function like the early church in that they have all things in common. When one person gets money or food they all share it. If someone is sick another person will take them to the emergency room or get them medicine. In many ways, they are very much like a family. The modern church could learn a lot from how homeless people share and take care of each other. A great way to help the homeless in Pensacola is to adopt a homeless camp. To do this you would first introduce yourself to a few of the camp members. Then you would make a list of things that they need. Get clothing sizes and things like that. It is helpful if they let you know what they need. Once you get to know some of the people you can take one or two to a thrift store and let them pick out what they need. Make sure that everyone at the camp is taken care of. You do not have to go overboard. Just determine what you are able to provide and do it consistently. This ministry is very much like the other ministries that are for individuals. The difference is that everything you do benefits the entire camp. It is more general in nature. Since everything you do is to benefit the entire camp there is less of a problem with some getting more help than others. Everyone is treated equally in theory. For example, if you purchase a radio for the camp then everyone gets to enjoy it. If you buy tarps then they would be distributed to those who need them. Food is a great thing to give to a camp. Canned goods are great and fresh fried chicken on Sunday afternoon is not bad either. A camp stove, a propane light, mosquito spray, a solar shower are just a few of the things that you can provide. This type of ministry is an excellent doorway to a church service on Sunday. After a few weeks of helping just ask if they would like for you to come by and do a service for them. I have never been told no. This is a difficult subject to write about because I don’t want to stereotype a group of people nor do I want to oversimplify an issue. The causes of homelessness are complicated to say the least. When you look at someone who is homeless and living on the street keep in mind that you are looking at the end result of a long list of events that have led up to what you see. In other words, you see the cover of the book but it is what is inside the book that you really need to see. To start with the basic cause of homelessness is lack of income to support a home or apartment. This is simple. The harder question is why is a persons income too low to afford basic shelter. Sometimes the reason is the loss of a job. In a bad economy this happens quite often. Sometimes it is a mental breakdown or a handicap. Abuse, natural disasters and sickness also displace people from their homes. If these things are a persons only problem then they will normally only be homeless for a short time. Lets call this short term homelessness. How about long term homelessness? What causes people to be on the streets for months or years? I wish this was not true but in many cases the reason is “addiction”. Addiction destroys everything it touches and is in my experience the number one cause of long term homelessness. To be addicted simply means that you can’t stop doing something. Some addictions are worse than others and some people can function with an addiction while others are consumed by it. Suffice it to say that when you add a substance abuse problem to other issues, the result often lands you on the street. Once you are there, an addiction will do everything it can do keep you there. Here is the problem. It is easy to turn your back on a person because they are an addict. It seems like the obvious solution to their problem is to simply stop drinking or stop taking drugs. I will tell you a secret. That is exactly what most addicts want to do. They just do not know how. People with addiction problems need a friend and they need help. Most need to be in a program to get clean and get their life back on track. I have found that many people have given up trying to get better and have resigned themselves to a life of misery. I believe that God is able to give a hopeless person hope and is able to do the seemingly impossible. But he wants and needs you and I to reach out on his behalf to the hurting of this world. If we don’t then who will. This is the latest Street Survival Guide put out by the Escarosa Coalition on the Homeless. It has a wealth of information and resources for the homeless in Pensacola, Escambia and Santa Rosa County as well as anyone else in need in our area. If you have any updates there is a number in the guide that you can call. This is a personal favorite of mine. A friend and I drove over to the Super Thrift on 9th Avenue to purchase some clothes for some of the homeless people on North Davis Highway. We had written down everyone’s sizes and quickly had a stack of clothes picked out. As I went through looking for shirts I found one for me, then two, then three, then four and so on. I was amazed at how nice they were. When I was done I had purchased over $500 worth of designer shirts for myself for only $15. That is of course in addition to the ones I purchased for my friends on North Davis. My point is this. With this ministry you will end up saving more than you spend. Especially if you have a family. With that being said, homeless people need clothes just like everyone else. In the summer they need shorts and shirts and in the winter they need warmer clothes. At a thrift store you can clothe 6 – 7 people for less than $20. Shirts run around $2-$3 each and pants run maybe a dollar more. If you let the owner know you are purchasing the clothes for less fortunate people they will often give you an additional discount. By the way. The Super Thrift is part of the Teen Challenge Ministry so when you support them you also support the wonderful work they are doing in our community. Before you start ministering to the needs of the homeless you should educate yourself as much as possible. I want to pass on some things that I have learned the difficult way so that you can implement your ministry the easy way. As Christians we are commanded to help the poor. As we do this there are certain things that we would like to see happen. Here are some reasons for working with the homeless. Goal 1 – To show them that you genuinely care about them. Goal 2 – To present the Gospel to those who are not Christians. Goal 3 – To help those who are Christians have a better relationship with God. Goal 4 – To help them move back into productive lifestyles. Goal 5 – To encourage those who need rehabilitation to get into a program. Goal 6 – To provide basic items to help them survive. Goal 7 – To help connect them to sources of help in the community. Why Not try to do Everything? It would seem that a good approach to helping people is simply to make a list of everything that a group of people need and provide it to them. Doing this can be like opening up Pandora’s Box. If you provide 10 different items to a group then you will be known as the person who provides those 10 items. If you provide 10 other items the next time you go by you will be known as the person who provides 20 items and so on. The solution is to pick the things that you want to provide and then be known as the person that provides those items only. Once a group realizes that those things are all you provide they will generally not ask for anything else. For example, you can be the bus pass person or the dog treat person. If you are the “this guy gets me whatever I want person” then that is not going to end well. If you don’t want people calling you then don’t give out your number. If you don’t want people coming to your house then do not tell them where you live. Only give out personal information when it is necessary. Helping people is one thing. Trusting everyone is another. If you want to provide a contact number then one suggestion is to purchase a pay by the minute Go Phone and give that number. When you interact with other people you should keep in mind that you are only one step in this person’s life. Someone will most likely come behind you and continue what you started. Try to make the next person’s job easier, not more difficult. Do this. Take a piece of paper and draw a line from left to right. This line represents another person’s path in life. Now draw another line straight up and down that intersects the first line. This represents your life. You have just drawn a plus sign. The point is that each time your life intersects with someone else’s life you should be a positive influence. If you go by once to help a person, they will appreciate it. If you continue to go by and see people they will become friends and will respect you. Consistency puts you in a better position to help and encourage people. If you love animals then this is the perfect ministry for you. This may sound like an unusual ministry but it is actually quite effective. Many homeless people take in dogs or puppies and care for them. 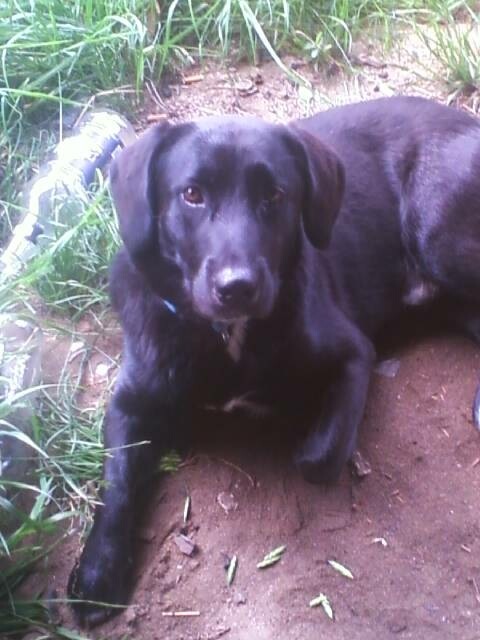 Doing something kind for a homeless persons dog is the same as doing something kind for them. Their dogs are usually around plenty of people and are generally friendly. Dog treats, dog food and flea drops are great things to give. Just keep a supply in your trunk and visit the camps every week or so. Get to know the dogs and the people. After a few weeks the people and their pets will be happy to see you. If you know a veterinarian that does not mind volunteering some time you can have them come along now and then to give shots. If not then you can just recommend one that is close by. As you minister to pets you will have the opportunity to talk with the people about their situation and therefore minister to them in other ways. Types of Homeless People and Their Individual Needs. Why Do You Need to Make a Personal Contact?